The US is among the top three countries with the highest rates of chewing gum consumption worldwide. In the US, 59 percent of people chew gum, surpassed only by Iran (82 percent) and Saudi Arabia (79 percent) (a primary reason why the Middle East may have more gum chewers than the US is because chewing gum is often given out by merchants in place of small change). In the US, many people chew gum as a snack simply because they like the flavor or the distraction it provides. Some use it for stress relief or even a tool for reducing food cravings (this typically doesn't work, as I'll explain shortly). But if you're a regular gum chewer, there's compelling evidence that this is one habit you're better off without. From its questionable ingredients to its impact on your teeth and digestion, chewing gum belongs right in the trash – not in your mouth. Before you reach for another stick of gum, consider these rather disturbing side effects that gum chewing can cause. 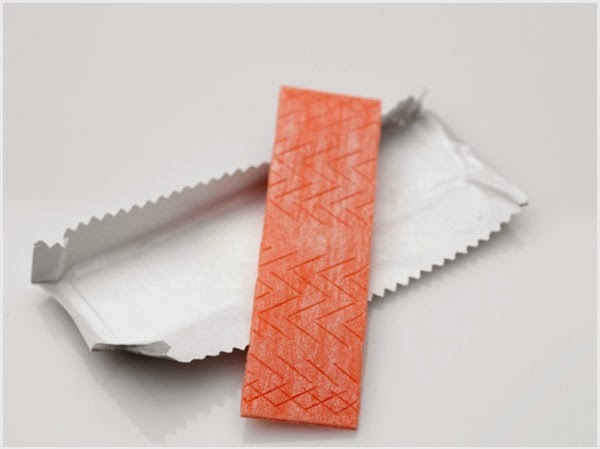 Many people chew on a stick of gum to reduce food cravings and, theoretically, help them avoid eating unhealthy foods. However, while research shows that chewing gum reduces your motivation to eat, your hunger and how much you end up eating, gum chewers' meals end up being less nutritious than those eaten by non-gum-chewers. If your chewing gum contains sugar, you're essentially "bathing" your teeth in sugar while you chew away. This can contribute to tooth decay. Even if you chew sugar-free gum, there are still risks to your teeth because sugar-free gum often contains acidic flavorings and preservatives that may in fact lead to dental erosion, even if it contains cavity-fighting xylitol. Unlike cavities, dental erosion is a process of incremental decalcification, which, over time, literally dissolves your teeth. If you have mercury fillings, you should know that chewing gum may cause this known neurotoxin to release from the fillings into your body. According to one study. Teenagers are notorious for gum chewing and popping. If your child is a frequent gum chewer and suffers from headaches, you should know that a link has recently been established. One study involved 30 daily gum chewers between the ages of six and 19 years. Each suffered from chronic migraine or tension headaches. After quitting gum chewing for one month, 19 of them had their headaches go away completely while another seven had a reduction in headache frequency and severity. Twenty-six of the children then started chewing gum again, only to have their headaches return within days. The researchers believe the headaches may be linked to chewing-gum-induced TMJ, which may cause headaches. Past research has also suggested chewing gum may cause headaches via aspartame exposure. You might not pay much attention to the ingredients in chewing gum because, after all, it's not actually swallowed. But the ingredients, many of which are potentially dangerous, do enter your body, directly through the walls of your mouth. As with the toxic ingredients in personal care products like lotion, which are absorbed directly through your skin and into your bloodstream, the ingredients in gum also get absorbed by your body quickly and directly, bypassing the digestive system that would ordinarily help to filter some of the toxins away. One such type of harmful chemicals is artificial sweeteners, which are ubiquitous in chewing gum. Many people choose sugar-free gum on purpose, believing it to be healthier than other varieties. But even non-sugar-free brands may contain some sort of artificial sweetener. It is very unusual for them not to. One of the most commonly used artificial sweeteners in chewing gum is aspartame. Aspartame is metabolized inside your body into both wood alcohol (a poison) and formaldehyde (which is a carcinogen used as embalming fluid and is not eliminated from your body through the normal waste filtering done by your liver and kidneys). It's been linked to birth defects, cancers, brain tumors, and weight gain. Sucralose (Splenda), another common artificial sweetener used in chewing gum, was approved by the US Food and Drug Administration (FDA) based on only two human studies, the longest of which lasted only four days – even though animal studies found the sweetener was associated with decreased red blood cells (a sign of anemia), male infertility, enlarged kidneys, spontaneous abortions, and an increased death rate. You might also be surprised to learn that consuming artificial sweeteners can cause distortions in your biochemistry that may actually make you gain weight. Studies looking at this issue show very clearly that artificial sweeteners may actually cause greater weight gain than sugar by stimulating your appetite, increasing carbohydrate cravings, and stimulating fat storage. Several years ago, I wrote a book called Sweet Deception, in which I expose the many concerns related to the consumption of artificial sweeteners. If you want to learn more, this book is an excellent place to start – especially if you're in the habit of chewing sugar-free gum. Artificial sweeteners are only one reason to avoid chewing gum. Most brands also contain additional chemical ingredients that do not belong in your body. There are natural chewing gum brands on the market that do not contain these questionable ingredients, so if you must chew gum, look for these. However, keep in mind that even natural chewing gum will pose risks from excess chewing, including TMJ, digestive issues, and more. BHT is so toxic it's already been banned in many other countries. In the US, it's often used as a preservative in chewing gum and other processed foods. BHT has been linked to organ system toxicity, including kidney and liver damage, hyperactivity in children, and may be carcinogenic. Found primarily in Trident gum, it's thought this ingredient may be used as a whitening agent or texturizer. As a highly processed milk derivative, little is known about its long-term ingestion, although casein was previously linked to baby formula poisonings in China and is a well-recognized trigger of autoimmunity. It's quite a mystery what "gum base" is actually made out of, but the investigators found it's usually a blend of elastomers, resins, plasticizers, and fillers. Most manufacturers do not reveal more specifics than this. After all, why would they want you to know that you're potentially chewing on petroleum-derived paraffin wax, polyvinyl acetate (carpenter's glue) and talc, all of which are linked to cancer. Titanium dioxide is often used as a whitening agent in chewing gum, but it's been linked to autoimmune disorders, asthma, and Crohn's disease and is potentially carcinogenic – especially in its nanoparticle form. One study found children are highly exposed to titanium dioxide in confections, with chewing gum containing the highest levels. Why Are You Chewing Gum? I generally recommend that you shouldn't chew gum or if you do use gum, use it very rarely or right before a meal when the acid and enzyme stimulation may actually be beneficial. If you'd like to give up gum chewing but are finding it difficult, consider why you're doing it. Below are several common reasons why people chew gum, along with alternative options to help you kick the habit. For stress relief: Try these eight stress-relief tips instead, along with the Emotional Freedom Technique (EFT), which is based on the concept that a vital energy flows through your body along invisible pathways known as meridians. EFT stimulates different energy meridian points in your body by tapping them with your fingertips, while simultaneously using custom-made verbal affirmations. To freshen your breath: Carry a toothbrush and toothpaste with you so you can brush your teeth even when you're on the go. A natural breath spray also works well for this purpose. To overcome food cravings: The tapping and positive affirmations of EFT are frequently effective at reducing food cravings. For the flavor: If you're chewing gum because you're hooked on the flavor, remember that both artificial and natural flavors are trying to simulate the flavors that nature readily provides. For healthier flavorful options, try sipping on a glass of water infused with fresh mint leaves, cinnamon, or citrus fruit.